For 25 years the attorneys in Preti Flaherty's Employment Law Group have been keeping clients, business partners, and friends up to date on recent developments in employment law. Each session in this 3-part series will focus on a specific employment issue in a talk and discussion format. 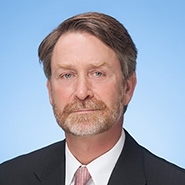 On April 23, 2019, Stephen Langsdorf will conclude our series with a legislative update for human resources professionals. Click Here for more information or to register. The series is complimentary but advance registration is appreciated. Attend one or all three sessions and receive HRCI recertification credits!